President of the People's Republic of China between 1983 and 1988 and then Chairman of the Chinese People's Political Consultative Conference until his death (1909-1992). Signed portrait photograph. n.p. 240 : 175 mm. 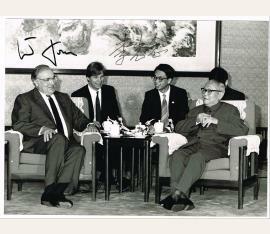 Official German press photograph of the Chinese politician Li Xiannian 李先念	together with German Chancellor Helmut Kohl. Signed by both recto. - Li was an influential political figure throughout the PRC, having been a member of the Politburo of the Communist Party of China from 1956. He rose to prominence in the Communist Party of China in 1976, when Hua Guofeng succeeded Mao Zedong as Chairman of the Communist Party of China. 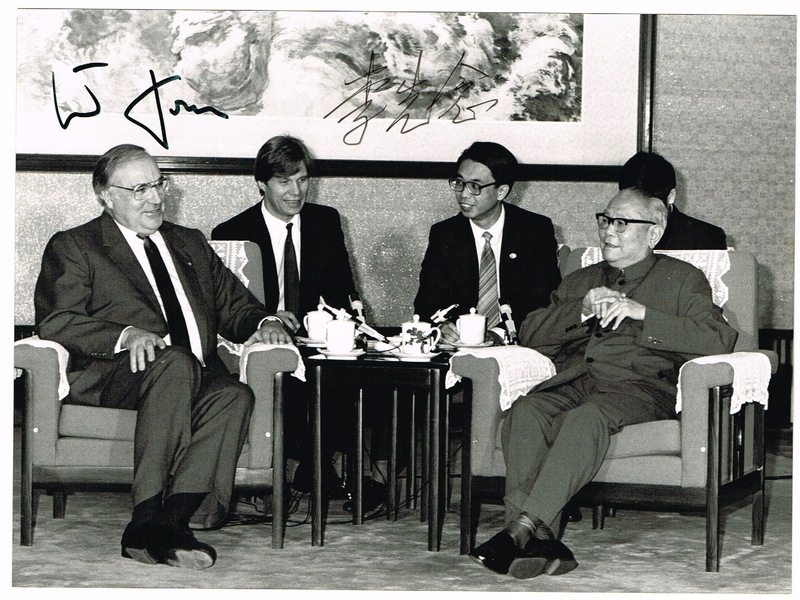 At the height of his career in the 1980s, Li was considered one of the most influential architects of China's economic policy after the Cultural Revolution, and is considered one of the Eight Elders of Communist Party of China.